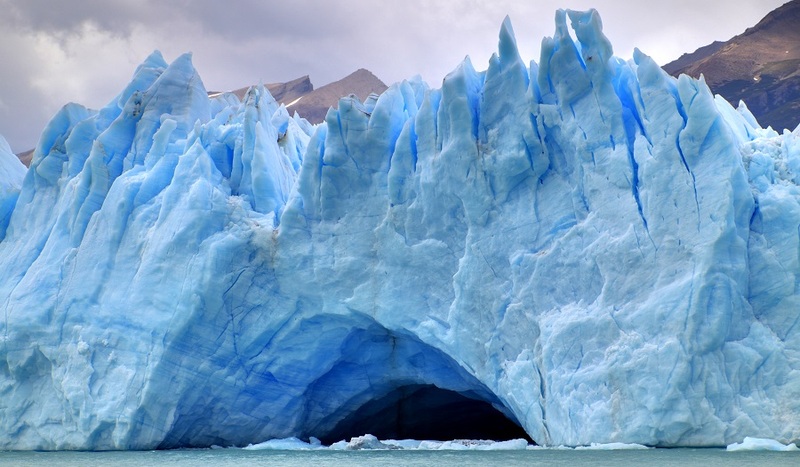 A Glacier cave on Perito Moreno Glacier, Argentina. Photo by Martin St-Amant, Wikimedia Commons. Argentina’s Deputy Secretary of Mining Policy, Mario Capello, said today that both the federal and the provincial governments have to work together towards relaxing the Glacier Law so that it becomes easier to develop Patagonia’s massive copper deposits. According to the state-owned news agency Télam, Capello said that such deposits have the potential for producing 1 million tonnes of the red metal this year, which would translate into $8.5 billion in exports. Current exports from the mining industry generate $3.5 billion. “Let’s do what we’ve got to do,” the official told reporters. “We have to make decisions that allow for the exploitation of Argentina’s mineral riches and supports the development of the country’s interior,” he added. Capello explained that his proposal is based on the fact that most porphyries are located in areas 3,500 or 4,000 meters high where the ground is frozen and, therefore, cannot be exploited under current regulations. The secretary made these statements at an exhibition in the western province of San Juan, where he also said that he is convinced that the world needs Argentina's copper, lithium, gold and silver.